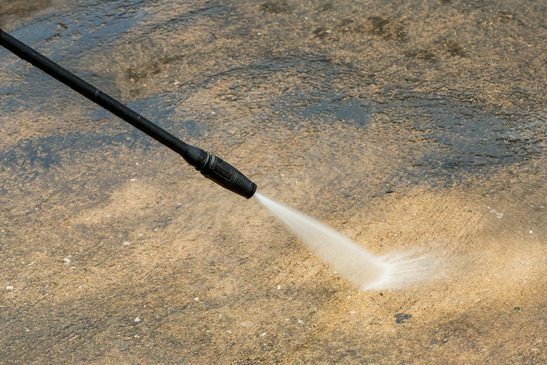 Caretakers will blast away all those layers of dirt and dust on your property with our powerwashing! Sidewalks, driveways, parking lots, buildings, you name it we can clean it. Our team has over 40 years of experience in the industry and have worked with all types of clients from homeowners to big-box retailers like Best Buy, Home Depot and Target. We have the vision and know how to turn the exterior of your home, office or storefront into a work of art. Thank you so much. It looks great. I was very excited to see it when I got home. I LOVE the way the sand cherry looks, so much better!! Thank you! We are very happy with the retaining walls and stairs which you designed and installed. Your skill, professionalism and dedication to our home project are so appreciated. You stayed within the time frame quoted to us: from removal of the railroad ties, broken concrete walls and debris, to stair/wall installation, perennial landscaping, and clean-up. Thank you, thank you, thank you! The yard looks beautiful! We love the stairs and the driveway is much improved. Everything looks great and we have received lots of compliments. Your employees were terrific. I loved their positive attitudes and hard work. They really compliment your business. Again, we are so glad you choose to do our landscaping.